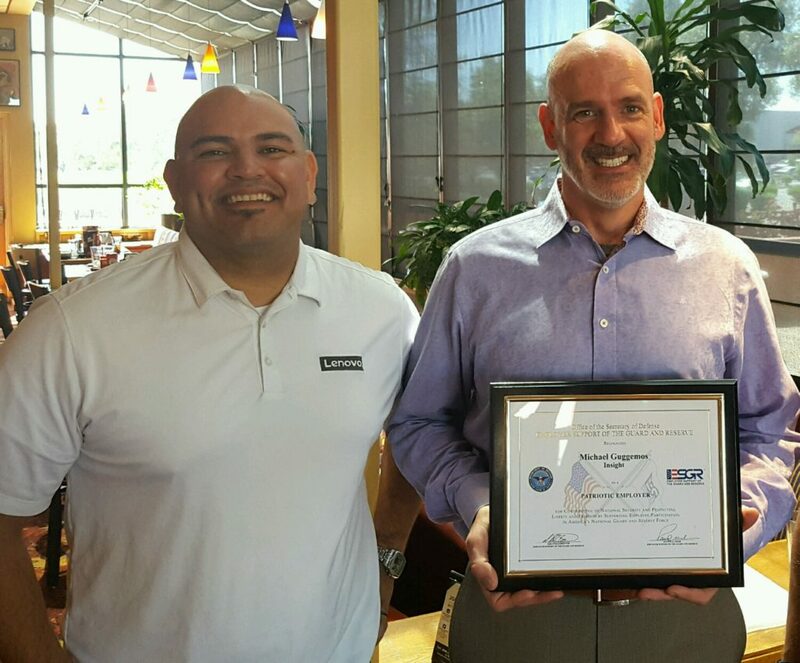 Mike Guggemos, chief information officer of Tempe-based Insight, has been awarded the U.S. Patriot Award by the Employer Support of the Guard and Reserve in recognition of his being a leader who has gone above and beyond his job requirements in assisting veterans and their transition back to civilian life. Guggemos also is chairman of the Arizona Technology Council’s Board of Directors. 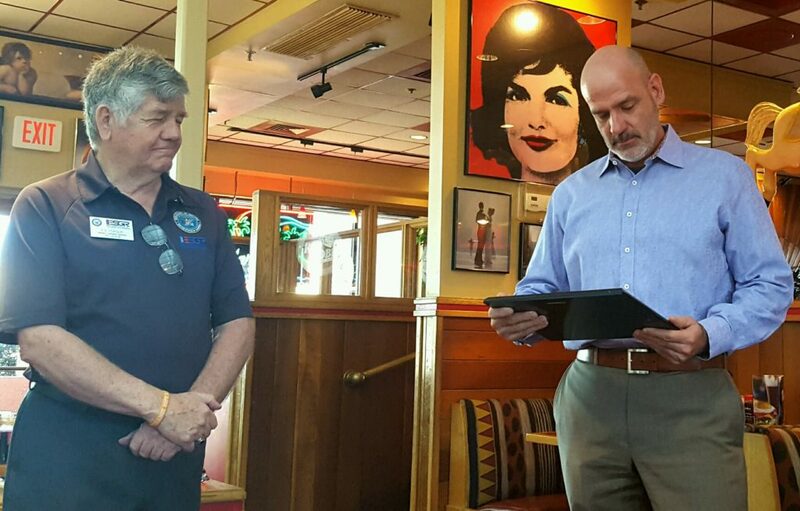 Patriot Awards are given to supervisors who have been nominated by an employee — in this case, Ivan Torres, a service provider representative at Insight — serving in the National Guard or Reserve. The award reflects the efforts made to support citizen warriors through such measures as flexible schedules, time off before and after deployment, and caring for families. The Employer Support of the Guard and Reserve is a U.S. Department of Defense program that develops and promotes supportive work environments for service members in the Reserve components.